For the second time in as many months, there’s been a decline in the construction of new homes. The Commerce Department reports housing starts for privately-owned homes fell 5.5% in May to a seasonally adjusted annual rate of 1,092,000 -- 2.4% below the same time a year earlier. 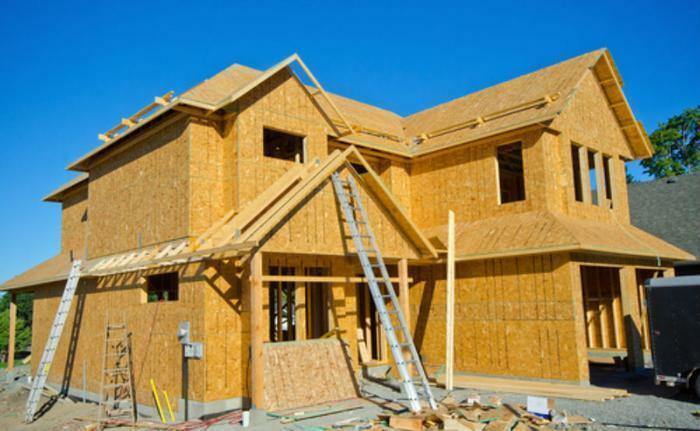 Construction of single-family homes was down 3.9% to a rate of 794,000, while the construction of apartment buildings with five units or more tumbled 9.8% to an annual rate of 284,000. The outlook for the months ahead isn’t all that rosy, as building permits were down 4.9% in May to a rate of 1,168,000. Authorizations for single-family homes slipped 1.9% to a rate of 779,000, while permits for apartment buildings plunged 10.1% to a rate of 358,000.